Above counter white ceramic square vessel. Premium white glaze for a glossy finish. Kiln dried ceramic construction. Smooth non-porous surface prevents from discoloration and fading. Large integrated bowl with raised edges. Completely finished all around including back. Give your bathroom a quality upgrade with this elegant, durable vessel sink from Acri-Tec. Thanks to its sturdy ceramic construction, this sink will maintain is stylish appearance through all kinds of everyday wear and tear. Clean up in style with this top-of-the-line sink, perfect for a wide variety of bathroom designs. 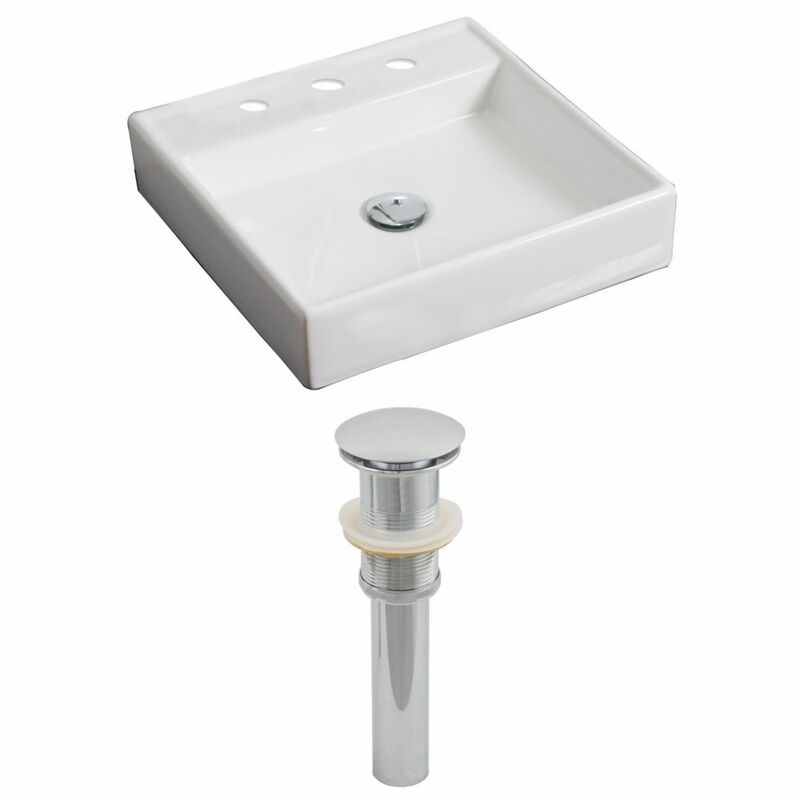 17 1/2-inch W x 17 1/2-inch D Square Vessel Sink in White with Drain It features a square shape. This vessel set is designed to be installed as a above counter vessel set. It is constructed with ceramic. This vessel set comes with a enamel glaze finish in White color. It is designed for a 8-in. o.c. faucet.